Electronic Arts, EA to you and me are offering a group of soon-to-be-smug-as fcuk FIFA fans the chance to playtest a very early build of FIFA 14 at their Guildford office. If you missed it earlier this week, EA announced the arrival of the latest edition of the FIFA franchise highlighting some of the new advancements. 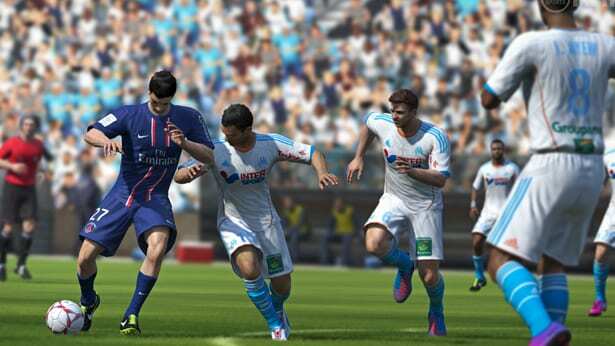 The main changes include a new ball physics engine and a feature called Pure Shot. Pure Shot allows players to adjust their stride and approach angles, with the game now incorporating off-balance and rushed shots. EA also says it has added the ability to maintain momentum while turning in any direction while sprinting, that there is more variety on touches when sprinting, and says that the intelligence of the AI has been improved. The new addition that stands out to me is Protect The Ball, which gives attacking players more ways to block defenders while dribbling. The game’s career mode will also receive an update, allowing players to manage a global network of talent scouts and featuring a redesigned hub. FIFA Ultimate Team will also be updated and social tracker Football Club will make a return. All in all, some good updates and additions. No exact FIFA 14 release date was provided by EA but as we all know from spending nights in Tesco and Asda waiting for 12:01, FIFA is normally launched in September. Now, back to the chance to playtest an early build of FIFA. Simply fill in this survey here and starting praying. If you are lucky enough to get selected, let us know.